To expand printing options and capabilities, the iPF8400S printer comes bundled with Canon’s PosterArtist Lite software for easy poster creation, and an Accounting Manager tool that helps keep track of job cost. Also included is a Print Plug-in for Microsoft Office and a Print Plug-in for Adobe Photoshop, which includes an Adjustment Pattern Setting that allows for multiples of an image to be printed at once with different color values implemented and displayed. Gallery wrap-ready prints can now be created using the included Gallery Wrap Feature, found in the imagePROGRAF Layout Tool. 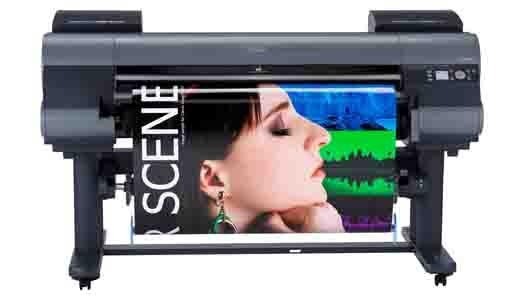 To help improve versatility, the iPF8400S printer has a media configuration tool which allows customers to not only utilize existing Canon-branded media, but also with non-Canon branded media. By combining Canon’s technological achievements, the imagePROGRAF iPF8400S printer achieves consistently breathtaking, durable and long lasting prints.